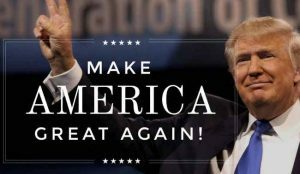 Republican nominee Donald Trump shocked pundits and market analysts around the world with his surprising presidential election victory in November. One of the many questions left unanswered for investors is this: what is going to happen to gold, silver, and other precious metals? Some nervous metals investors paused when gold prices dipped shortly after the election. Just before election day, prices crept up to $1,339 per ounce on the off chance that Trump might actually defeat Democratic nominee Hillary Clinton. When it became clear that Trump won the election, many anticipated that new heights — $1,500 or even $1,700 per ounce — were just around the corner. Instead, gold (and other metals) were soft following the election. Modi is the Prime Minister of India, the country probably most responsible for the day-to-day fluctuations in demand for physical gold. In an effort to crack down on India’s burgeoning black market, Nodi banned large cash bills in India right as the U.S. election took place (such bills are commonly used to convert dirty money to gold, then from gold back into another currency). By removing the usefulness of large bills, Nodi effectively killed the largest gold conversion instrument in the world’s second most populous country. Additionally, some leading gold ETF investors dumped their gold positions after the election. Stanley Drunkenmiller (of Duquesne Capital), for example, sold all of his gold when Trump won. In the short run, Modi’s dramatic action in India and the reaction from gold ETF traders are more powerful market forces than the uncertainty surrounding Trump’s future economic policies. Eventually that will not be the case, which is great news for precious metals investors looking for bargain prices. One of the undying principles of investing is that equity markets do not like uncertainty. When stockholders are less sure about the future profitability of the companies in their portfolio, the cautious protect themselves by looking to asset classes with low or inverse correlation to equities. 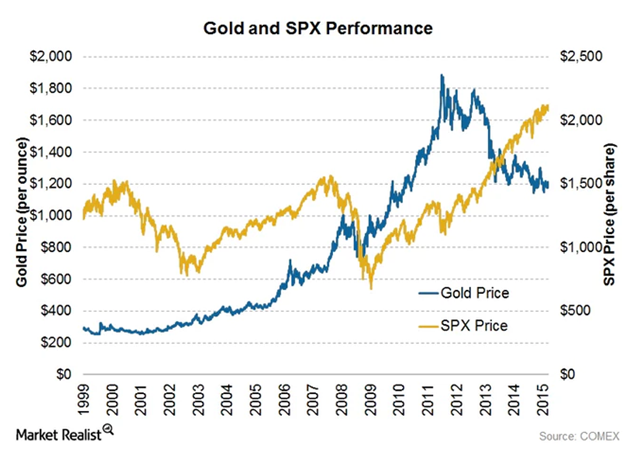 Gold does not have a positive correlation with stocks over time (the chart below, which tracks the S&P 500 Index against the gold spot price, demonstrates). Trump’s protectionist inclinations — such as his opposition to free trade agreements, including NAFTA, and the potential for contentious relationships with major trading partners, including Mexico and China. Trump’s opposition to the Fed’s easy money policy and troubled relationship with Janet Yellen — potentially popping the asset bubbles created by seven years of Quantitative Easing (QE). Trump’s economic advisory team, though not yet formalized by the time of this article, may dramatically reverse course on the “tax, borrow, print, and spend” policies of the past 8 years. That might mean better long-term growth for the economy, but a lot of businesses and sectors will have to liquidate and rededicate their resources to adjust to a less Keynesian model. Again, there is still a lot of uncertainty about Trump’s economic plans and what his cabinet will look like before inauguration. If you think through the possible scenarios — the administration does not clarify its plans, the administration follows through on Trump’s campaign rhetoric, or the administration throws another wrench, changes its tune, and adopts a “status quo” plan — each seems likely to roil markets with concern or uncertainty. No matter the case, the future for precious metals looks bright. The country underwent a political revolution in November (for good or ill), and proactive investors will look to use the momentum of change to their advantage. If you are interested in leveraging the benefits of commodity investments, American Bullion can discuss your options and help you every step of the way. Our #1 goal is for you to take control of your own finances – and we promise to be transparent, safe, and efficient in the process.